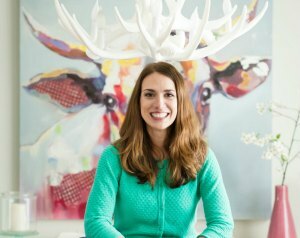 Why waste food if you don’t need to cook for a crowd? 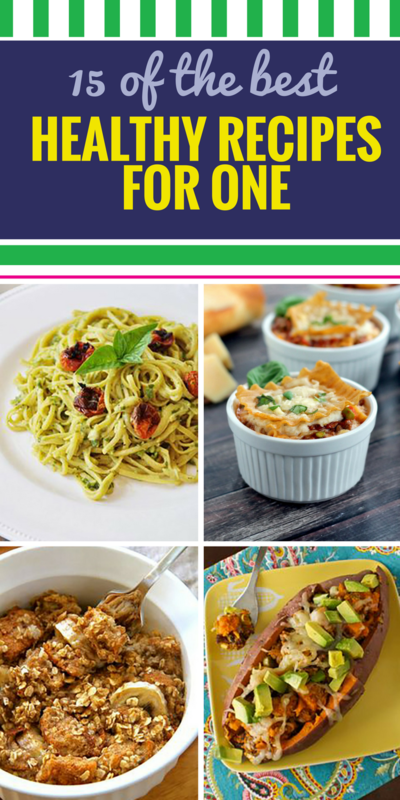 These delicious single-serving dinner, salad and lunch ideas are perfect when you’re enjoying a meal alone (and don’t worry, we didn’t forget desserts). 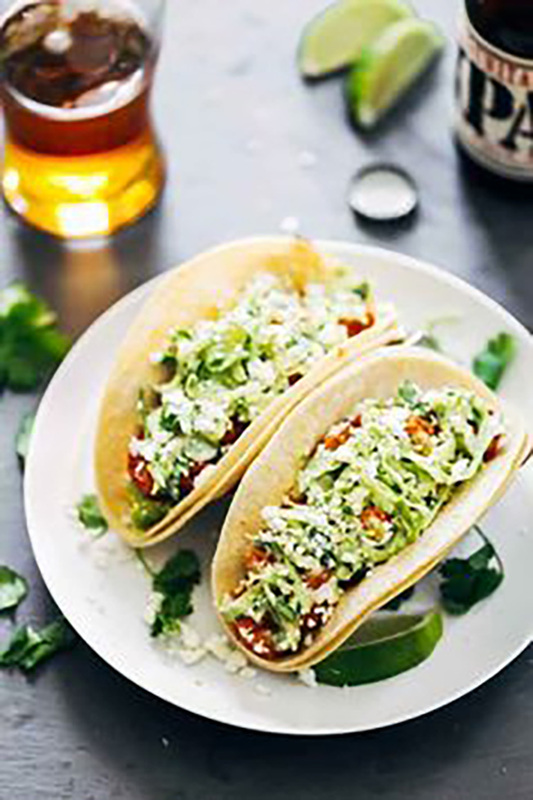 Spicy Shrimp Tacos with Garlic Cilantro Lime Slaw – – Spicy Shrimp Tacos with Garlic Cilantro Lime Slaw – ready in 30 minutes and loaded with avocado, spicy shrimp, and a homemade creamy lime slaw. Best tacos I’ve ever had! 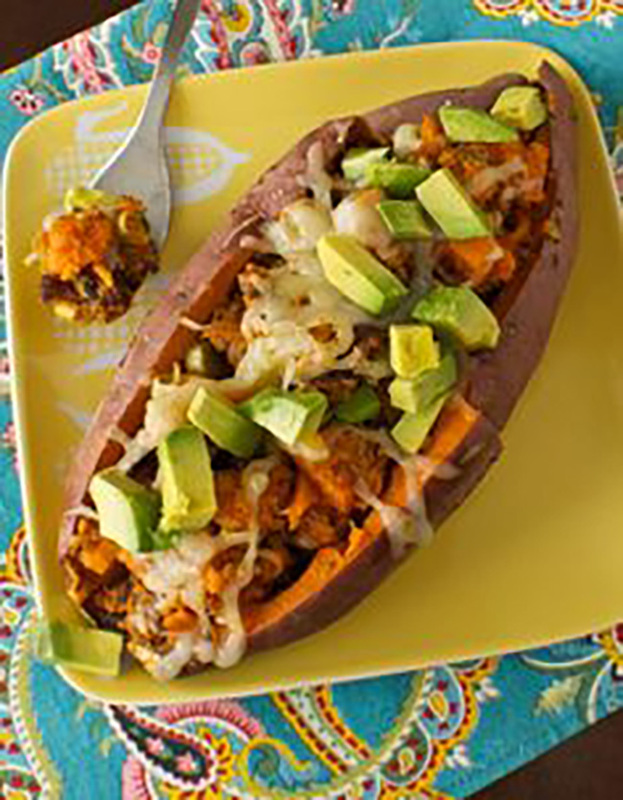 Healthy Stuffed Sweet Potatoes – – Healthy Stuffed Sweet Potatoes. Great healthy meal for one. 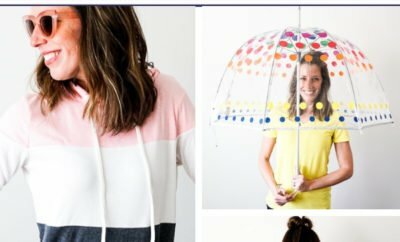 Can be stuffed with pretty much anything you have on hand. 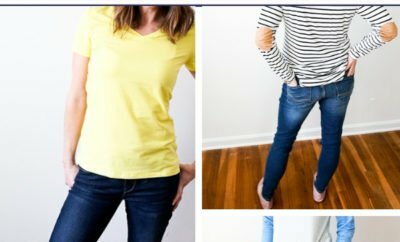 Super simple recipe! Three Cheese Pesto Spinach Flatbread Pizza – – Three Cheese Pesto Spinach Flatbread Pizza :: Aiming to eat more veggies? 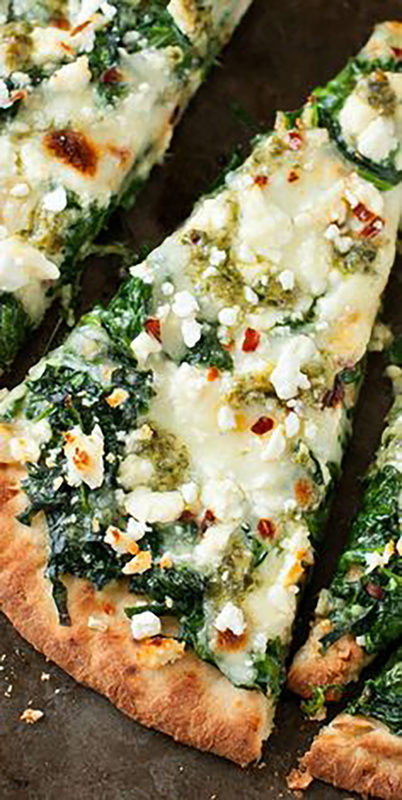 This Three Cheese Pesto Spinach Flatbread Pizza packs an entire box of spinach into one gloriously cheesy single-serving pizza! Vegan (Quinoa) Mac & Cheese – – Single Serving Vegan (Quinoa) Mac & Cheese! 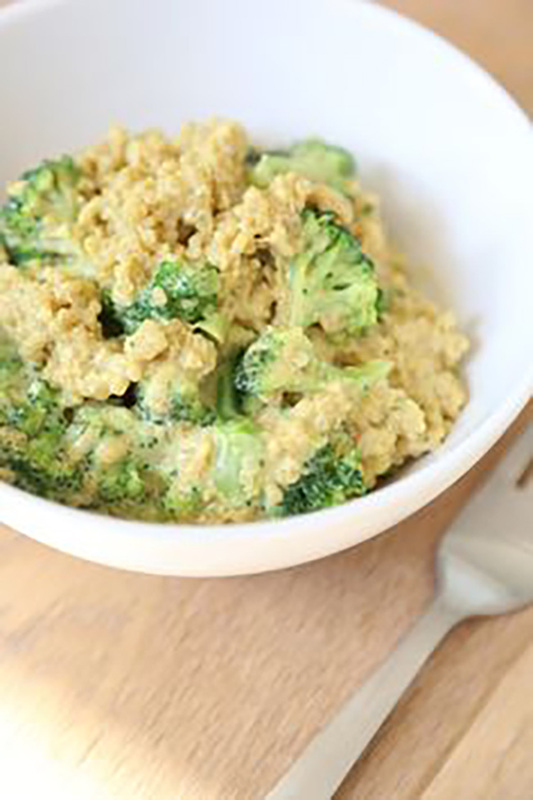 Warm fluffy quinoa and steamed broccoli coated in a vegan “cheese” sauce made from nutritional yeast, almond milk, dijon, and other goodness! Avocado Caprese Salad – – Simple and clean eating! 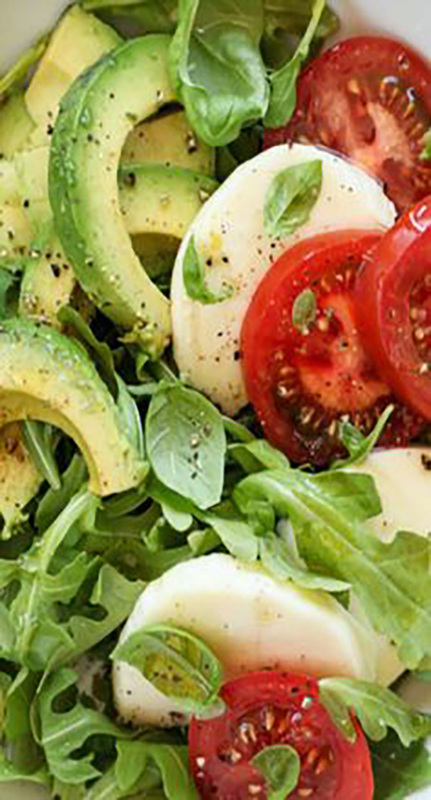 I LOVE this single serving recipe for Avocado Caprese Salad. 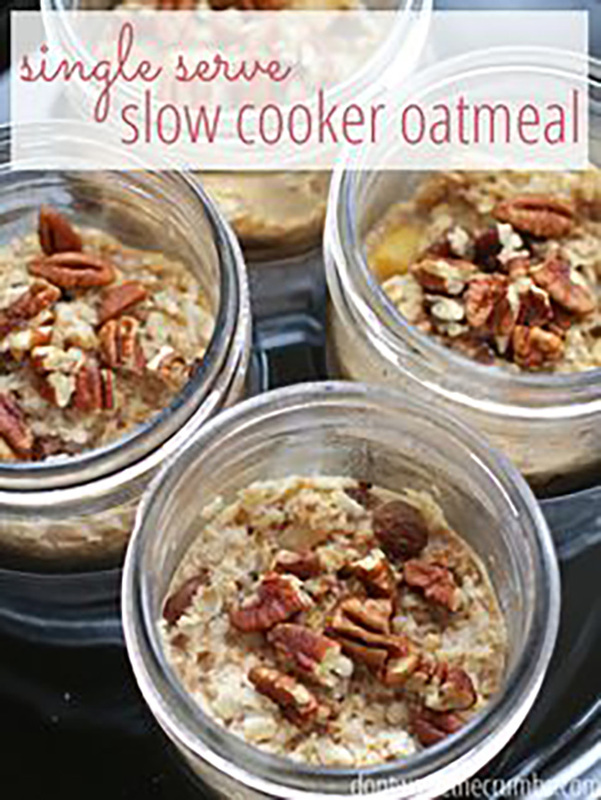 Single Serve Slow Cooker Oatmeal – – Best easy recipe and kitchen tip ever: wake up to breakfast already made for you! Single serve slow cooker oatmeal is a clean eating at its finest – an easy recipe for anyone who like oatmeal. Bonus – it’s single serve, so you can make multiple flavors at once AND if you screw on the lid, it’s breakfast to go! 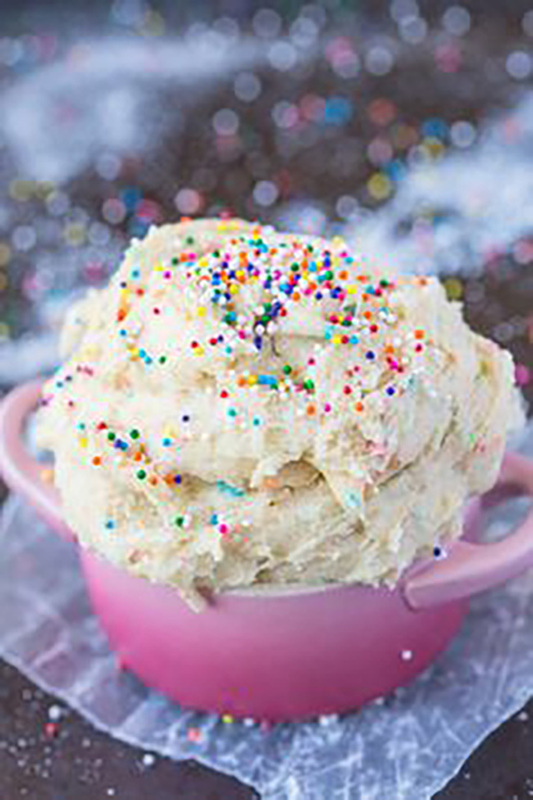 Single Serve Cake Batter Dip – – This single serving cake batter dip will be your new snack of choice! 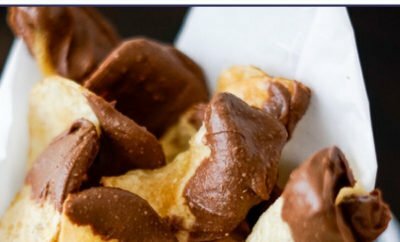 This delicious healthy cake batter dip recipe is for one and takes less than 5 minutes to whip up- It’s naturally gluten-free! 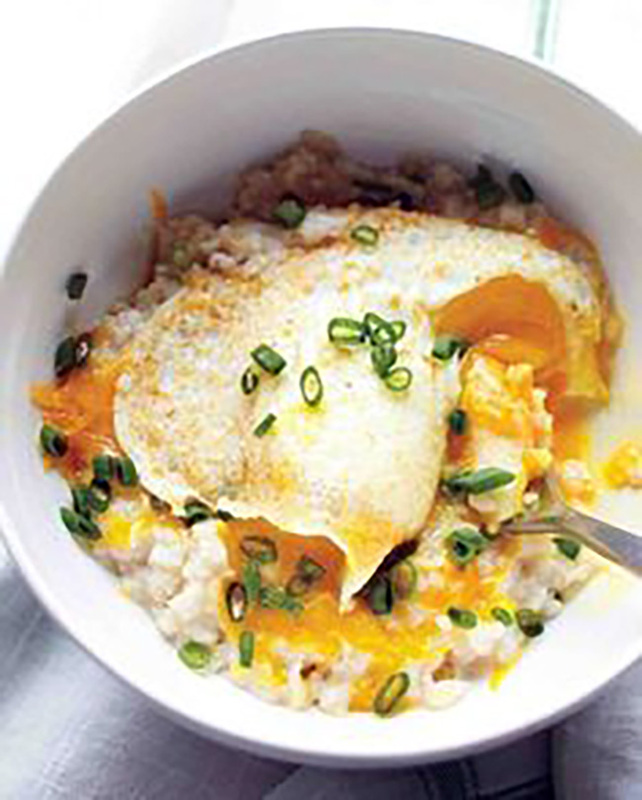 Savory Soft-Egg Oatmeal – – Savory Soft-Egg Oatmeal – single serving comfort food that anyone can make! 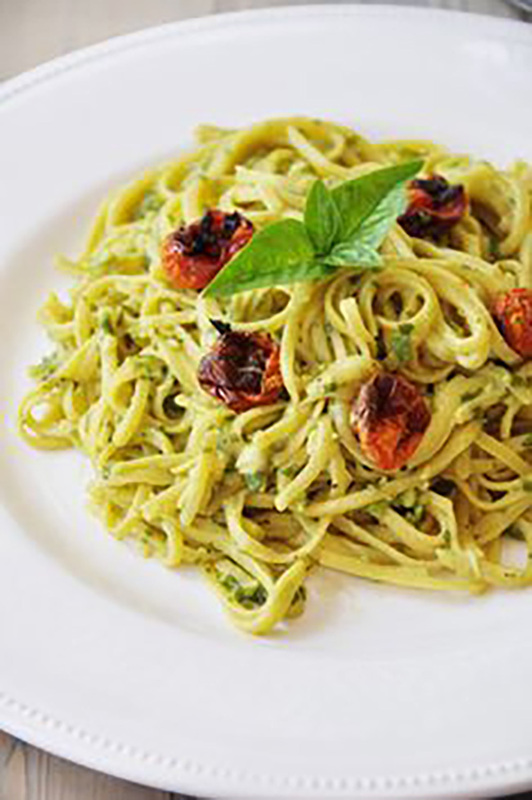 Single Serving Oil-Free Pesto – – You only need four ingredients to make this delicious, healthy, low calorie pesto. 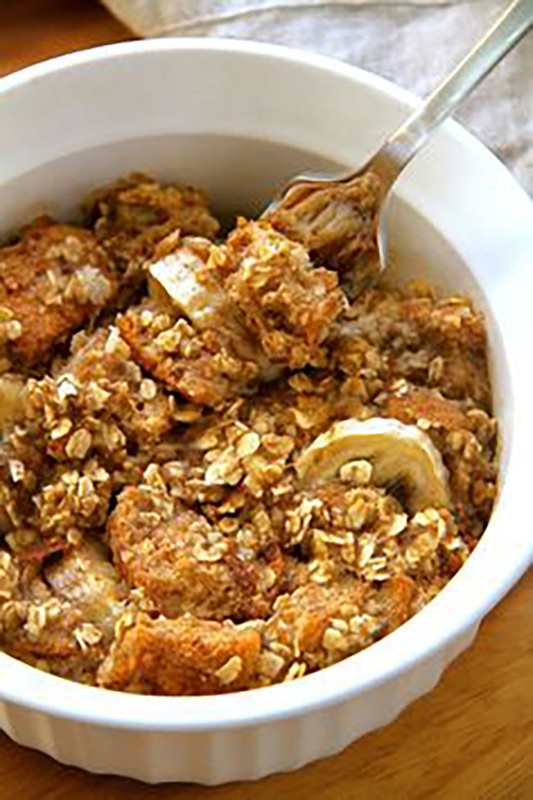 Single Serve Banana Oat Baked French Toast – – Banana Oat Baked French Toast — a delicious single serve vegan breakfast that’s packed with fiber and plant-based protein! 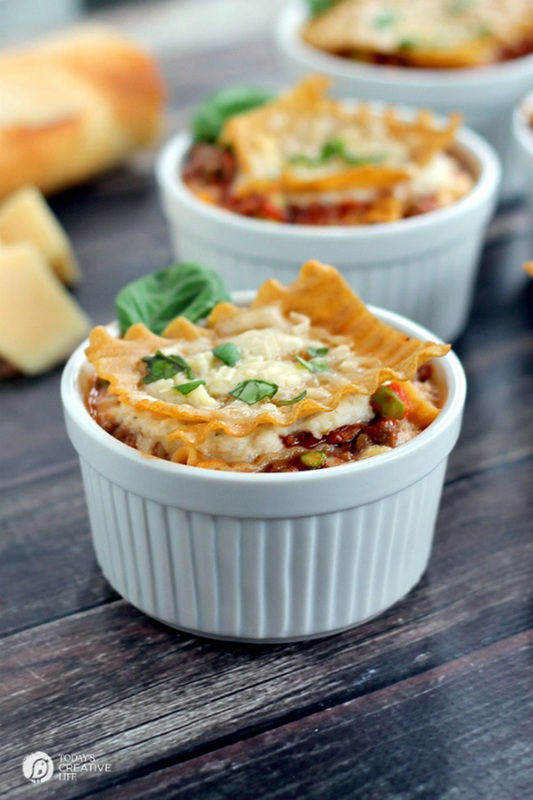 Healthy Single Serve Lasagna – – Nutritious single serve lasagna that the whole family will love! 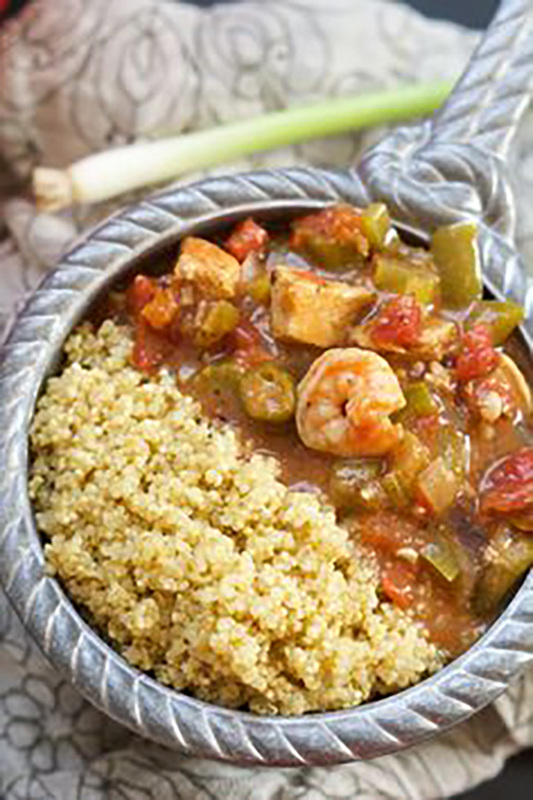 One Bowl 30 Minute Big Easy Shrimp and Chicken Gumbo – – With only one pot, this spicy and healthy Spice and Chicken Gumbo has a velvety sauce, served over quinoa and is ready in only 30 minutes! 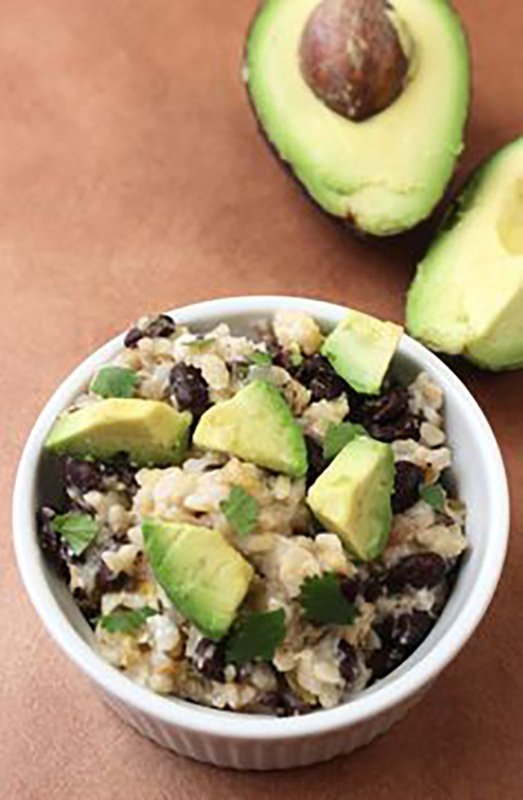 Single-Serving Burrito Bowl – – Single-Serving Burrito Bowl- healthy, creamy, and ready in less than 5 minutes! Easy enough to make in a college dorm. 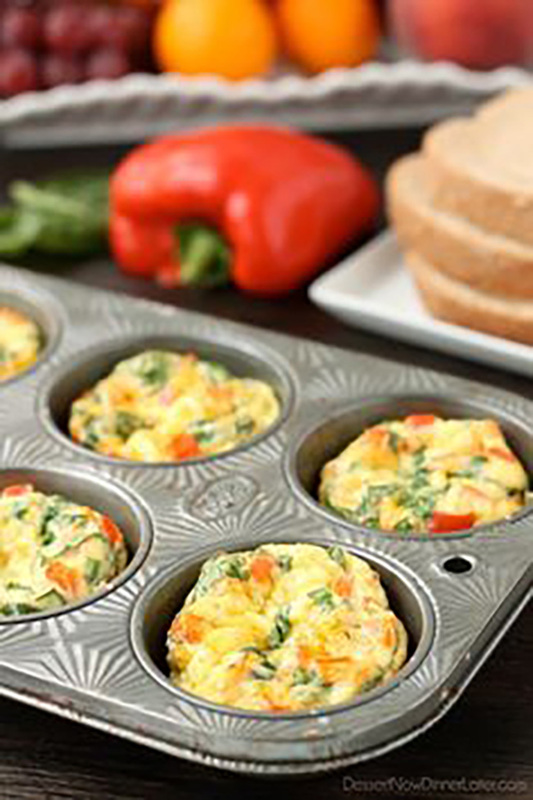 Breakfast Egg Cups – – These Breakfast Egg Cups are the perfect breakfast on-the-go. 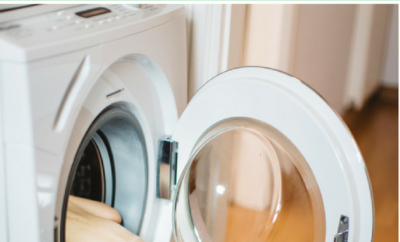 Make them ahead of time, refrigerate or freeze them, and then heat them in the microwave when you are ready to eat! 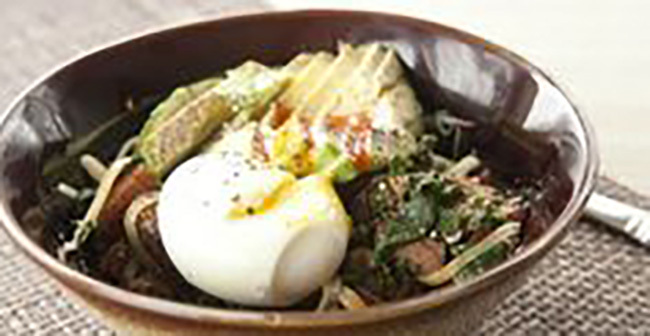 Greens and Ham Breakfast Bowl – – One is no longer the loneliest number in the kitchen. This creative, easy-peasy recipe will get you excited to cook again, even if you’re going at it alone.